Swing Fever – Swinging Since 1978! Treat your guests to a sophisticated San Francisco wedding band. 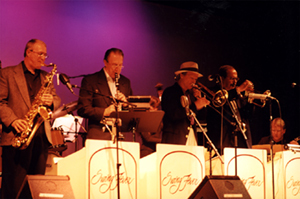 Have a swingin’ event with this pre-eminent Bay Area party band. Thank you so much for making our wedding even more special. The music was perfect and people were obsessed with the band. People loved dancing and people who I didn’t think liked to dance were up and moving! It was so neat to see people who didn’t know each other before the wedding getting up to dance together. The music set the perfect mood throughout the whole evening. I really appreciate the time and effort you and your team gave us to help us pull this day together. I know I had a lot of questions over the months and I am grateful for your helpfulness and patience. Thank you again for everything! The music is our passion. Great tunes from the 1930s and ‘40s have inspired Swing Fever since 1978, and we can’t seem to get enough. We stopped keeping track of our song list after 1000 tunes. We learned from the originators of the music, which is why our performances have an authenticity that fans love and expect and critics appreciate. It helps to have some of the most experienced jazz musicians in the Bay Area as well as our very fine female vocalist, Denise Perrier. 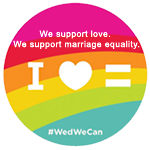 Along with festivals, concerts and dances, we love weddings and private parties. Rhythmic, romantic, torrid and witty…this is our music. We’re crazy for it. Watch out, You may catch Swing Fever too.